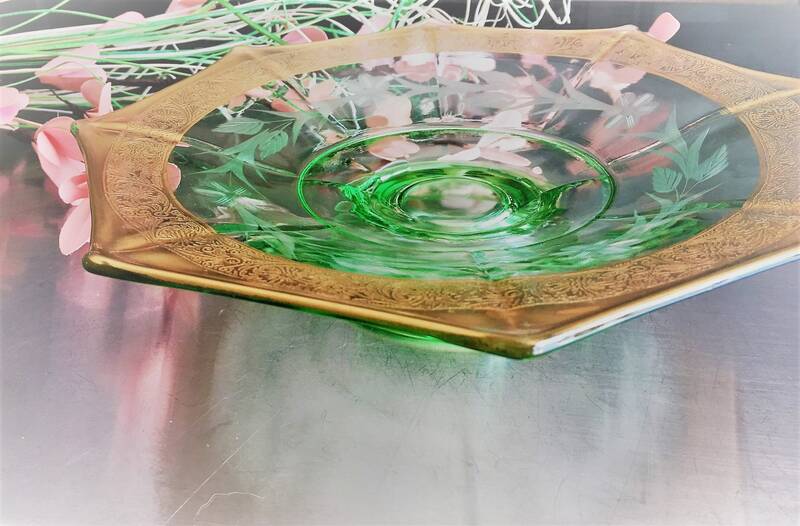 Featured here is a nice piece of green depression glass. 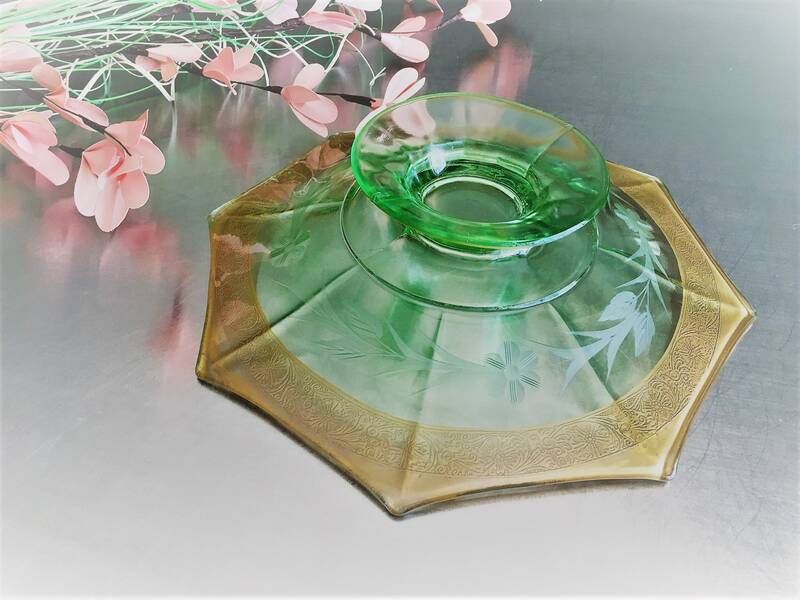 This octagonal bowl is 10 inches across and sits on a pedestal that's about 1 1/2 inches high and 4 1/2 inches in diameter. 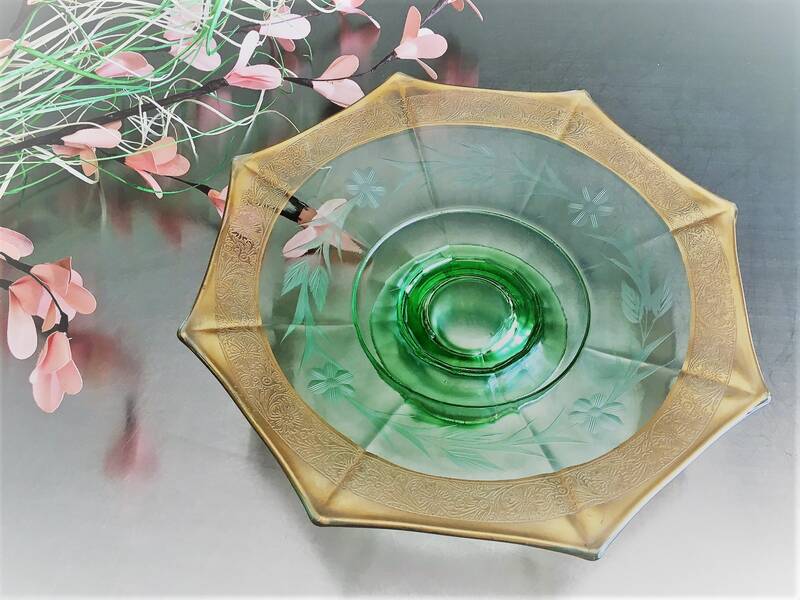 The underside of the bowl has been cut with a flower and leaf motif, while the top side of the bowl has be trimmed with gold and has an etched scroll and flower design. 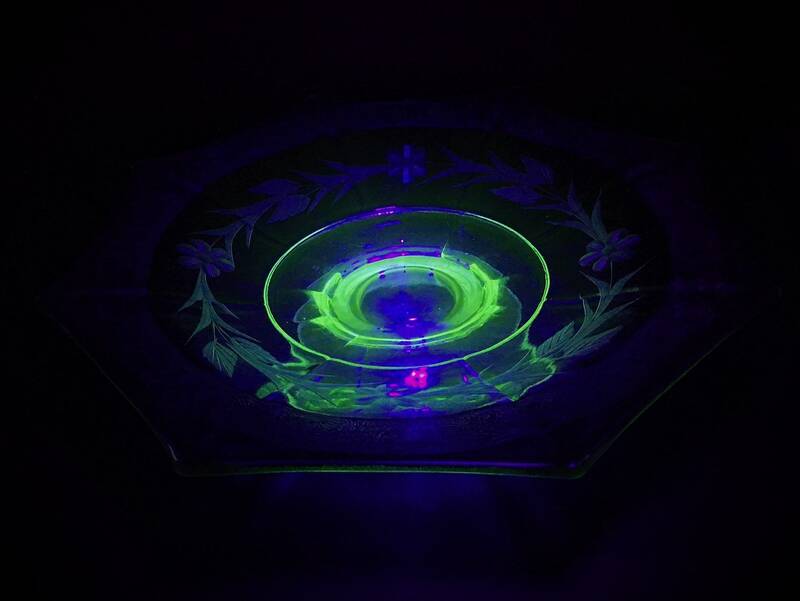 This piece is uranium glass so it glows nicely under UV light. Uranium glass is glass which has had uranium, usually in oxide diuranate form, added to a glass mix before melting for coloration. The proportion usually varies from trace levels to about 2% by weight uranium, although some 20th-century pieces were made with up to 25% uranium. Uranium glass was once made into tableware and household items, but fell out of widespread use when the availability of uranium to most industries was sharply curtailed during the Cold War in the 1940s to 1990s. Most such objects are now considered antiques or retro-era collectibles. I've got a large selection of vintage glassware including more uranium glass, Vaseline glass, colored Depression glass, Amberina, and more. Visit my site, WrenchesandWonders.com.